How Major’s ‘bastards’ played the long game and won. It was a generation ago that the forces leading us to Brexit were unbound in a devil’s pact that has trapped and consumed every Conservative party leader since: Major, Hague, Duncan Smith, Howard and Cameron. 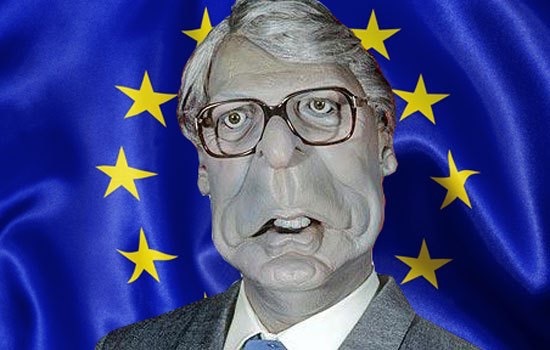 A quarter of a century on, the ideas put forward by John Major’s “bastards” are in the ascendant. Maybe Mrs. May will be their next victim. It’s ironic that the former Prime Minister cited being perceived as a poor leader as justification for not confronting his Eurosceptic critics head on back in 1992. Major feared that excommunicating them from the Tory ranks risked splitting the party, a destructive act for which he would be held responsible. And yet it’s now clear that by failing to excise the Eurosceptic cancer deep inside the Conservative party, the former Prime Minister allowed the tumour to remain and metastatise, dividing not just his own party but the entire nation. And Major asked a question that remains pertinent to our times. Prior to the EU Referendum, leading ministers like David Davis and Liam Fox were indeed sulky backbenchers dispossessed of leading roles in David Cameron’s government. Liam Fox was forced to resign in disgrace because he broke the ministerial code of conduct. They assumed their pre-eminent positions in Theresa May’s cabinet in the fallout from the Brexit vote. Now they are leading the country to the Brexit cliff edge in a minority administration that lost overall support in the 2017 election. Their role in government is wholly due to a set of fortuitous circumstances, of being in the right place, at the right time. We shouldn’t underestimate the ferocity with which the Eurosceptics will repulse attempts to set Brexit aside. For them, this is an existential crisis. If they cannot make Brexit stick having been given the opportunity, they are discredited for all time. Win at all costs is all that matters, regardless of the cost to the United Kingdom, which is why Brexit is now as much an article of faith as it is an economic or political policy with tangible objectives and outcomes.